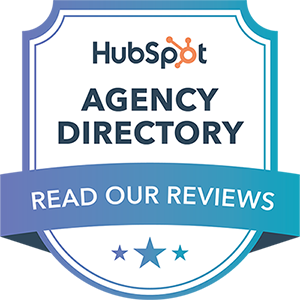 We're proud to announce that Hydro Studios is officially a certified HubSpot Gold Agency Partner. And with that, we're here to take your business' marketing strategy level to the next level! Whether it be brand strategy, site optimization or marketing automation (to name a few specialties of the many), we have the experience and we're ready to bring our inbound marketing services to you. Our mission here at Hydro is to always work with a purpose, find ways to add value at every stage of your customers' journeys and, no matter what, stay true to your brand's strategic plan. Want to see this action? We've been working hard to bring a brand's organic mission to online fruition - check out our recent work with Stonyfield Organic. Better yet, get in contact with us. Inbound marketing is our thing.